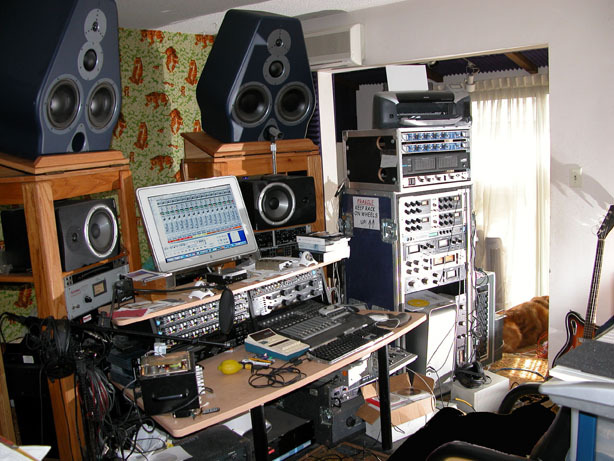 Pairs:Ela M M251-AKG C12 - C12A- Neumann KM54- KM84-64 - Calrec Soundfield Mark VI - Neumann U87-U47 from Atlantic Studios- 2-RE-20s - AKG D12 - Sony C37FET - C55p - Beyer Ribbon + more. 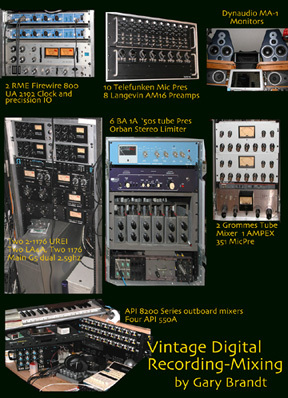 Everything one would need to create vintage and conventional sound from production to completion. Alternative Rock, Pop, R&B, Classical, Latin, Acoustic, Blue Grass, Orchestrial, Big Band Music. Remote tracking: $1800 per day includes appropriate vintage gear, second engineer. Cartage and travel may vary depending on location.